Guardian, guide, motivator, monitor, controller, supervisor, organiser, assessor, tutor, facilitator and friend- put all these qualities together and you will get what we call a 'true teacher'. October 5 was inaugurated as 'World Teachers Day' in 1993 to show appreciation and to salute teachers for their vital contribution and commitment towards society, education, development and shaping a nation. Every year this day is set aside by the global community to celebrate those who have joined the noble profession of teaching and for the central role they play in nurturing and guiding not only infants, children and youngsters but also adults through the life long learning process, which ultimately leads to a successful career. Teachers often don't get thanked enough and the important part they play is not appreciated; we sometimes forget that these individuals play the most vital role for the development of their pupils and that the future of their students depend on their dedication and sincerity. One can never forget ones' best and favourite teacher; the person who introduced and imbued a deep understanding of the subject taught and infused a deep passion for it. We think about them and remember how they opened the doors of knowledge and wisdom and altered the course of our lives and we keep going back to them for advise and guidance years after graduation. Recent research suggests that the key factor in boosting achievement in a student is a good teacher. Wouldn't it be wonderful if we could learn about such dedicated educators and multiply their number? If we could know about their qualities and all the capacities they possess and ponder on how they can be rewarded and truly acknowledged; if we could only discover what truly makes a good teacher! Well, as they say, there is no particular formula, but a general agreement on some prerequisites; an unwavering faith in the students capacity to learn, followed by patience, perseverance, persuasiveness, endurance and consistency. According to a famous saying, “A teacher is like a light-house which shows the right path to people in darkness." 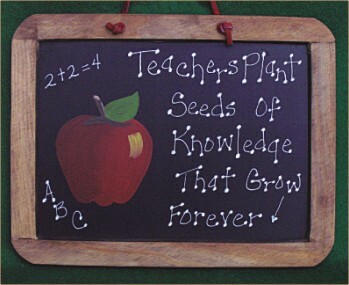 There is no denying the fact that teaching is a huge responsibility and the true goal of a teacher is to empower the students by aiding and guiding them and helping them to reach a level of complete happiness and fulfilment; planting the seeds of morals and values at the same time. The world needs more teachers; according to the estimate of UNESCO, 18 million more teachers are needed worldwide if universal primary education is to be achieved by 2015. The shortage of qualified teachers is considered one of the biggest obstacles in development. We have a duty towards those who are going to run this world long after we become dust in the earth. The gift of education is passed from one generation to the other, along with the desire to learn and acquire knowledge. When knowledge is shared and passed on, skills are gained and lives changed. All these can be achieved through teachers. Yes, teachers truly matter! Star Lifestyle wishes all teachers happiness, prosperity and a long, healthy life!